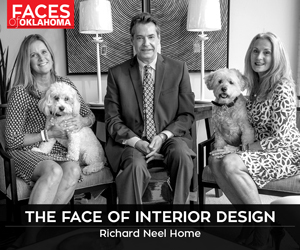 Technological improvements and declining costs make solar power a serious consideration for Oklahoma homeowners. People rely on electricity. Nearly every modern person needs it for even the most basic of daily functions, from cooking dinner and reading a book at night to binge-watching shows and using various technology. With an ever-growing need for more power and a desire to lower our carbon footprints, some have started to turn to renewable energy options like wind, water, geothermal and solar. In particular, solar power continues to rise in popularity, thanks to the increase in affordability and technology. Monocrystalline and polycrystalline are the most common types of solar panels; both are made of crystalline silicon. In the past, mono silicon panels had a higher function rate; enhancements, however, have changed the game. Another important impact on the solar power industry has been the emergence of module-level monitoring. Anyone interested in a solar array should start with a site assessment from an expert to determine how big of a system is needed and what the initial and long-term costs will be for it, Wilke says. The timeline varies with each project. Installation has multiple stages and standards that have to be met before the system is complete. There are three main options for erecting an array, Wilke says: roof mounts, which often have the lowest installation cost and are a space saver; ground mounts, which need a relatively large space; and shade structures, which are usually multipurpose, like a backyard pergola or a carport. 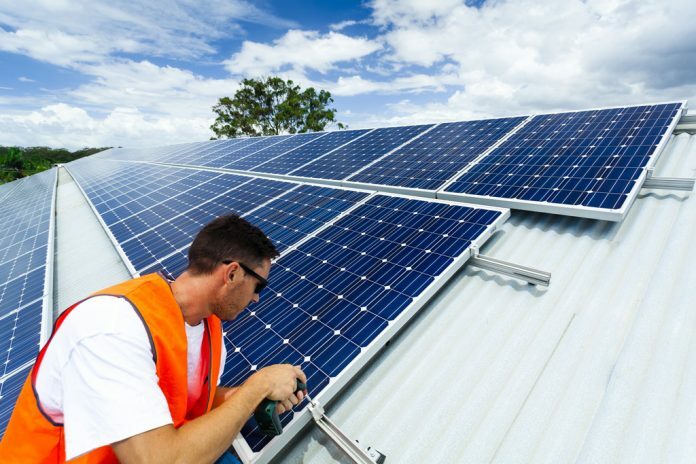 Solar power systems are relatively low maintenance. The panels occasionally need cleaning, but often, if the slope of the modules is steep enough, they can be self-cleaning. “There is very little service associated with solar and the maintenance that is required is something that we build into our client’s expectations and cash-flow model,” Wilke says. 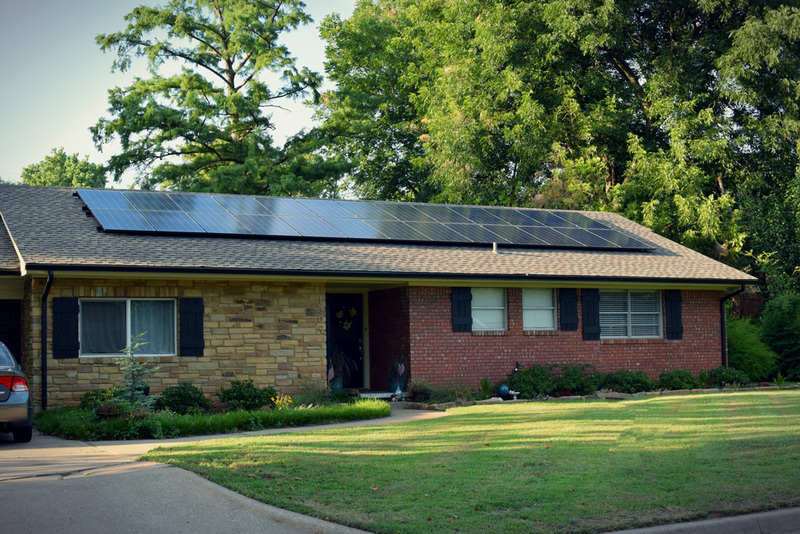 Most residential solar installations in Oklahoma include about 20 panels and each module is 3 feet by 5 feet. Aside from the panels, the equipment needed is simple. The solar panels are conductors that collect direct current and an inverter is needed to convert that power to typical household electricity or alternating current, Wilke says. As solar technology continues to improve and the cost to produce it decreases, more people see solar energy as a legacy for their families. To stay up-to-date or learn more about solar power, visit energy.gov/sunshot. Solar energy technology has significantly improved, technologically and aesthetically. In 2016, electric carmaker Tesla introduced solar shingles made of glass that look like normal composite shingles. 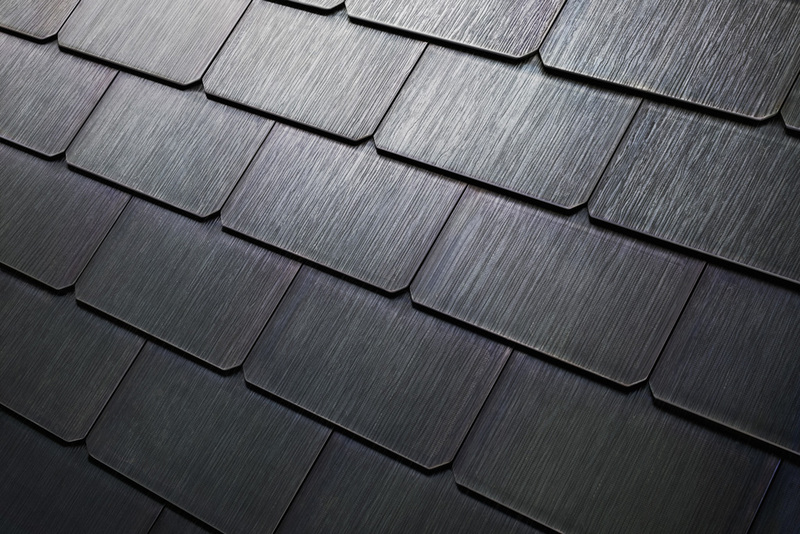 Tesla offers smooth, textured, slate or terracotta tiles, which contain photovoltaic (solar) cells. 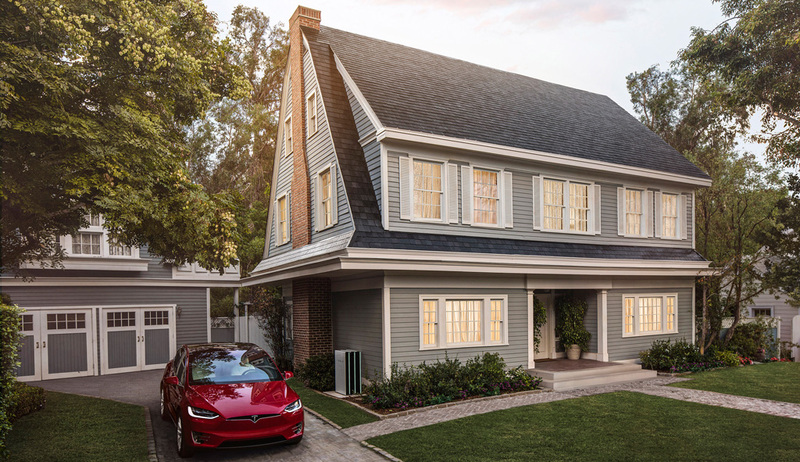 While a solar roof isn’t new to the industry, Tesla’s less obvious tiles provide an alternative to the more noticeable 3-foot-by-5-foot solar panels often used in solar power installations. According to tesla.com, the estimated cost for a Tesla solar roof includes materials, installation and the removal of your old roof. Any taxes, permit fees and additional construction costs are not included. The estimate is also based on the square footage of your home as well as the portion of your roof covered with the solar tiles. Because of building regulations, your entire roof is not eligible to be covered with solar tiles. However, you don’t need an entire roof of solar shingles to generate enough electricity for your day-to-day energy usage. You’ll have to contact Tesla or visit the website at tesla.com/solarroof to find out if the technology is available in your area and what the cost will be – but EnergySage.com estimates a Tesla Solar Roof costs about twice as much as adding traditional solar panels to your roof, but only about a fourth more than replacing your entire roof and adding solar panels. The installation of a 5-kilowatt system is about $20,000. Oklahoma offers no state rebate, but there is a federal one. The federal solar tax credit is based on out-of-pocket expenses. You get about $6,000, or 30 percent, of the cost back as a tax credit. You can roll over the credit if you don’t owe $6,000 in federal taxes the year that you install the system. With the savings from your energy bill, you can estimate that your system will pay itself back after about 16 years. You then will start to see even more savings per year until the end of the system’s life, which is about 25 years. Using solar power and not using energy generated by fossil fuels create the carbon equivalent of planting 117 trees a year.